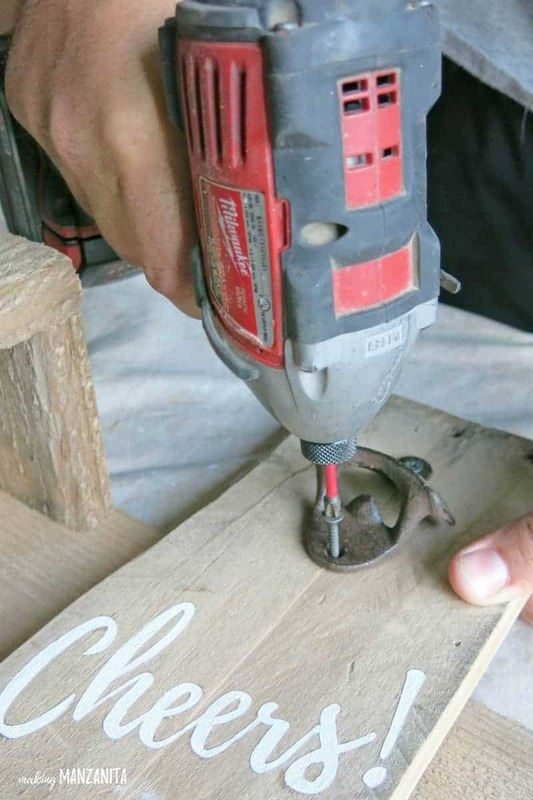 Dad will love a DIY bottle opener for Father’s Day! They are so simple and inexpensive to make using reclaimed wood! 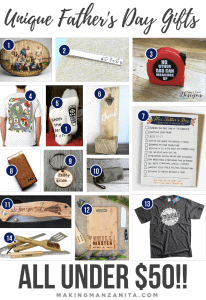 I’ve been having a blast sharing some Father’s Day gift ideas with you. 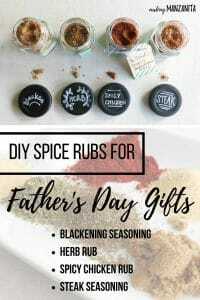 We made these super simple DIY spice rubs that are sure to be a hit with BBQin’ Dads! I also shared unique Father’s Day gifts under $50 from Etsy. On that list, you saw a sneak peek of this Reclaimed Wood Bottle Opener that I have available for sale in my Etsy store. I promised a tutorial for this fun project so you can make one yourself! 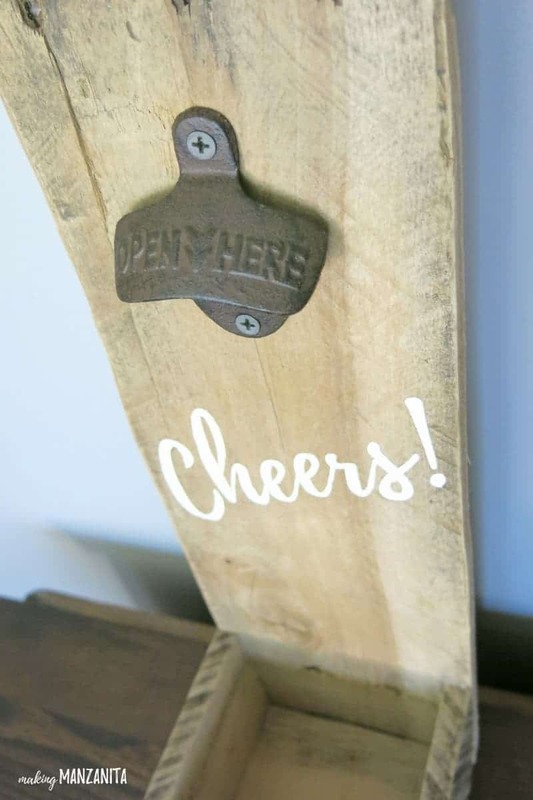 Today’s tutorial for these this DIY bottle opener uses my favorite material – reclaimed wood! 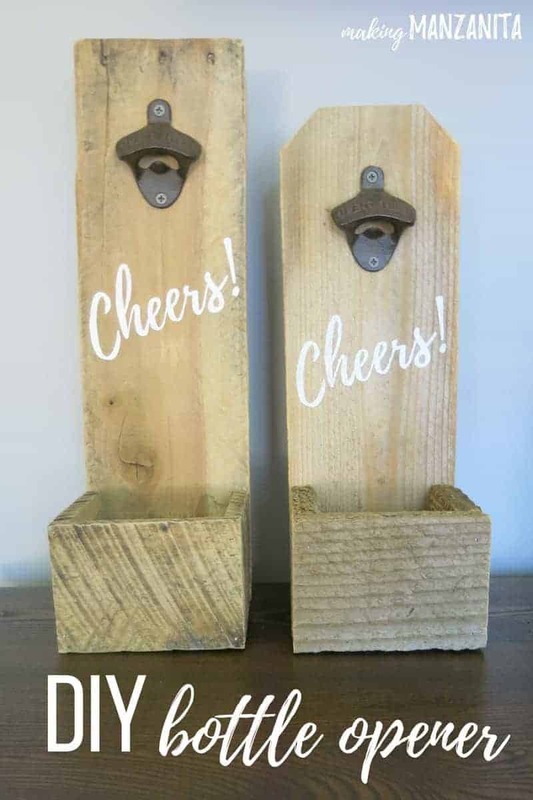 We made two versions of this wall-mounted DIY bottle opener. One was made with pallet wood and the other was made with reclaimed cedar fence boards. Dads will love these rustic looking wooden bottle openers for Father’s Day. 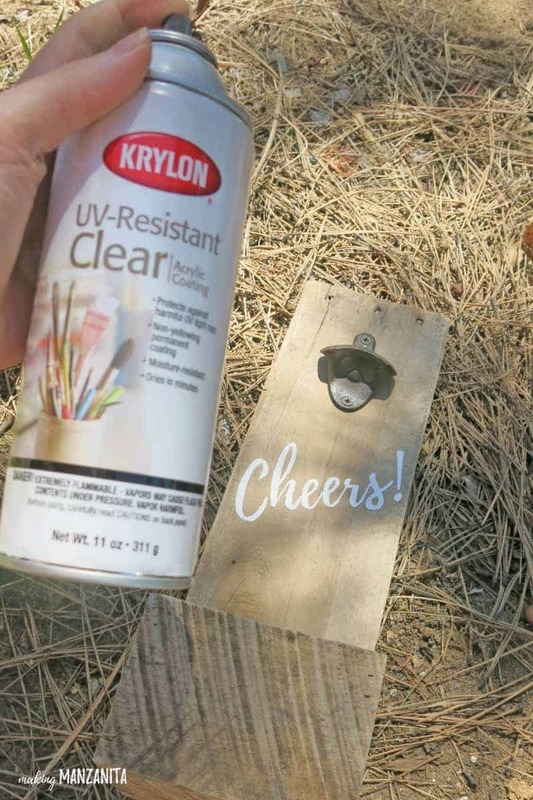 Here’s a replay of the live video that I did over on Hometalk’s Facebook page to show how to make this fun DIY bottle opener along with my Spice Rubs. 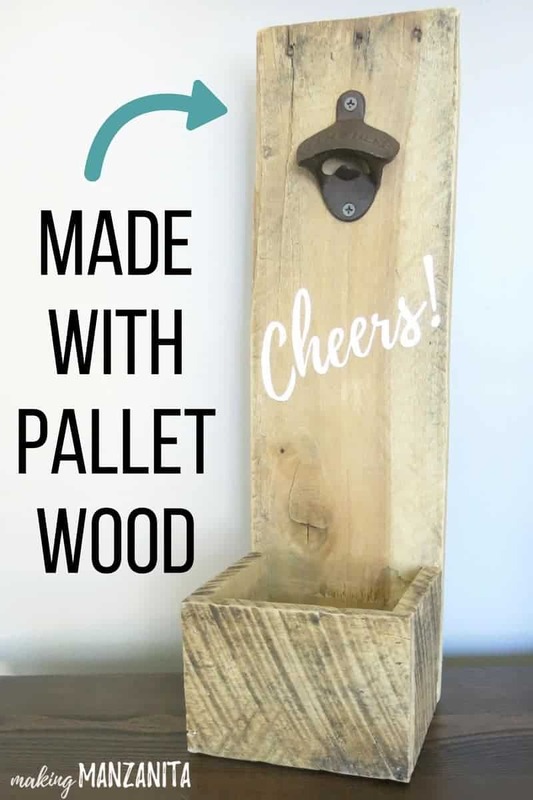 This wooden bottle opener post contains affiliate links, but nothing that I wouldn’t wholeheartedly recommend anyway! Read my full disclosure here. 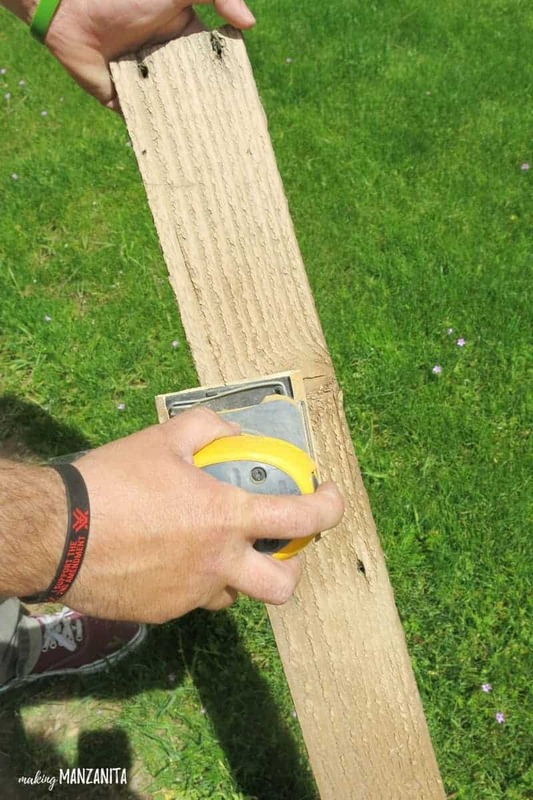 Reclaimed wood – pallet boards or old fence boards work great for this! Since we are using reclaimed wood, it does need a light sanding. I usually just leave it at that though. I love the old character of the wood to shine through, so I typically sand it using a hand sander with either 100 or 220 grit sandpaper until it’s smooth. 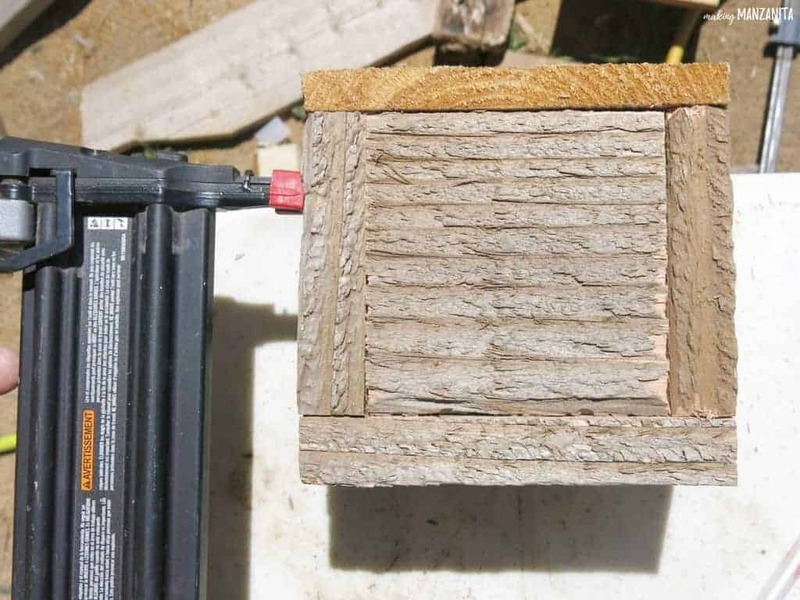 1 piece as long as your back piece is wide, which will vary slightly depending on your reclaimed wood (for the front of the cap catcher box). Mine was about 5 inches. Step 3. Build cap catcher box. Add a little wood glue to the ends of the side pieces and then lay the front piece of the box on top. Adjust it by hand until it is square. Next, using your nail gun secure with a few nails on each side. Step 4. Attach cap catcher box. Again, grab that wood glue and add a thin line on the edges of the sides on the back of the box. Lay it on the bottom of the box and adjust by hand until everything is square. 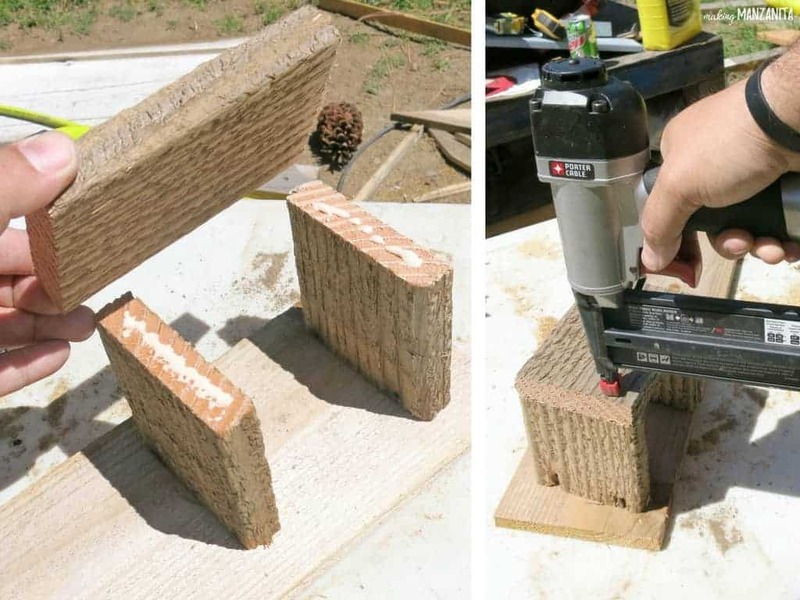 Flip the bottle opener over and add nails on the sides. Step 5. Add bottom to cap catcher box. Remember in Step 2 when I said we were only cutting 4 of the 5 pieces needed? 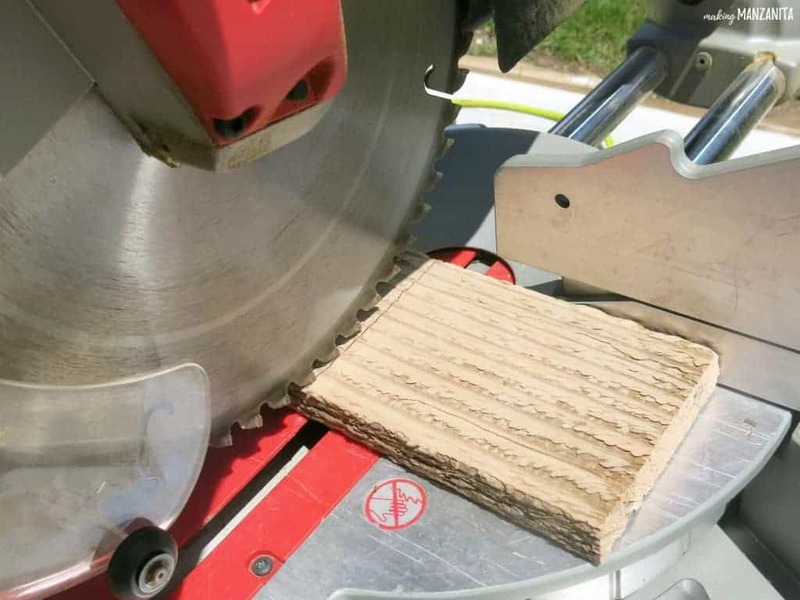 This is last piece of wood you need to cut. We found that it is easier to measure this after the cap catcher box is already built and attached. Measure the opening on the bottom of the box and cut a small piece to fit. Add a thin line of wood glue around the edges and slide into the opening. 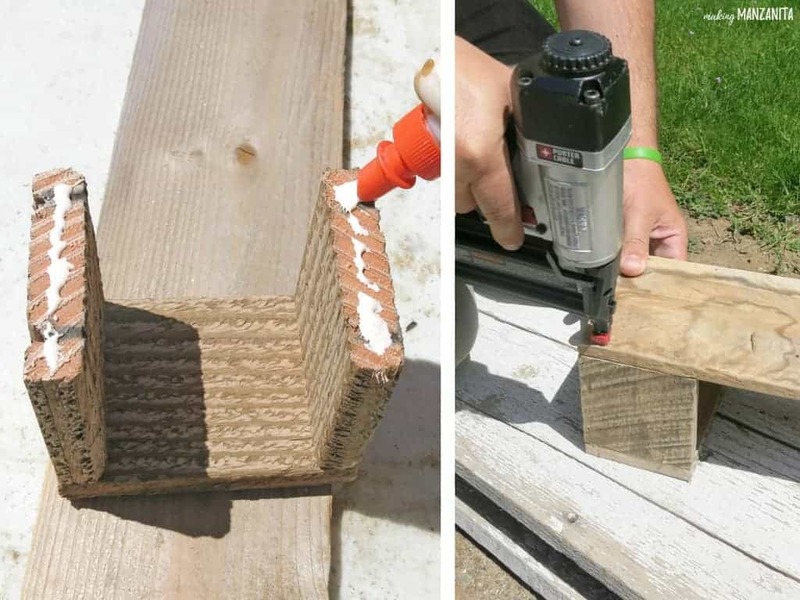 Secure the bottom by nailing it around the sides. You could technically leave it as is without painting anything. The character of the reclaimed wood shines through and it already looks awesome. But I really wanted to make it look a little more unique and festive. 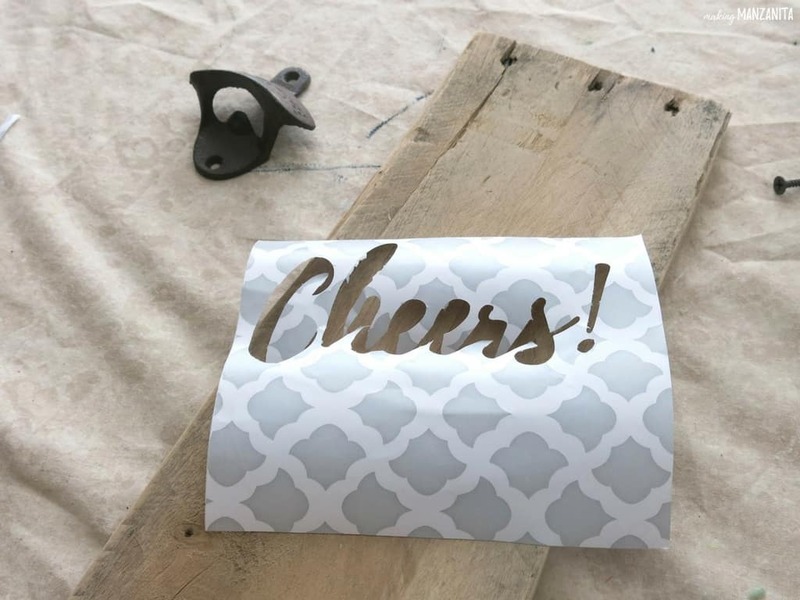 I chose to stencil on “Cheers!”. I cut the stencil out using my handy Silhouette Cameo and adhesive shelf liner / contact paper. 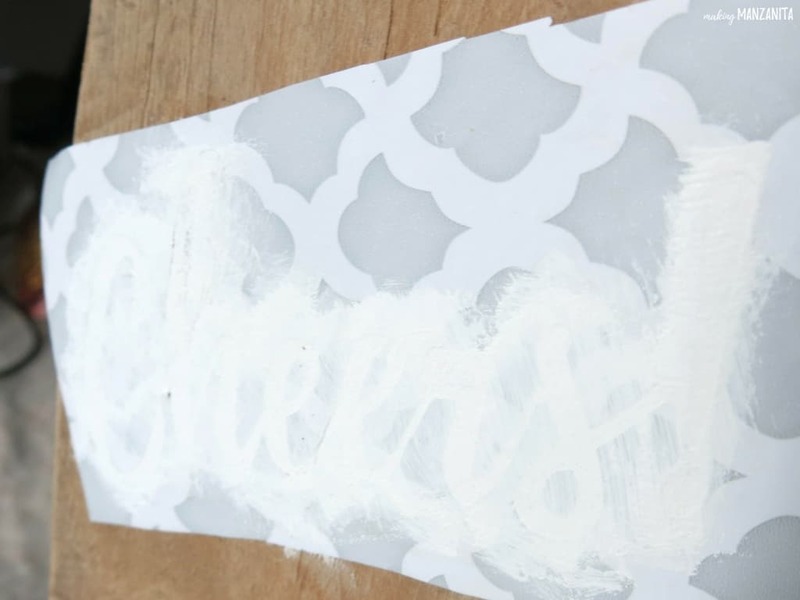 This is a great material to make one time use stencils and it’s so affordable! Now we’re almost ready to paint the design, but first I’ve got an amazing tip for you guys!!! I have a new way to avoid stencils from bleeding. During my last Hometalk LIVE video when I was making this wood sign, someone in the audience shared this tip with me and I don’t think my life will ever be the same! Once you peel the backing off of your stencil and attach it to the wood, you add a bit of Mod Podge….yes, I said MOD PODGE. I just put a little dab of it on my finger and rub around and the front of the stencil, making sure I get all of the edges. 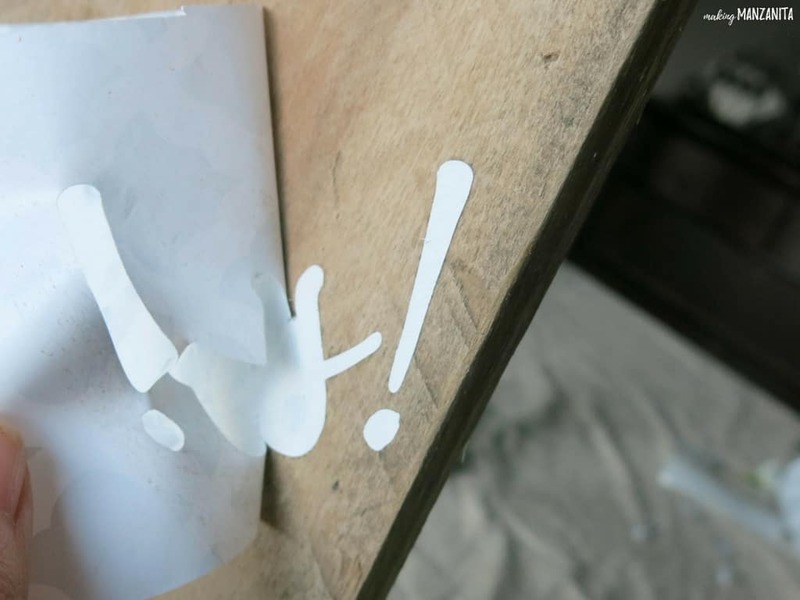 By doing this, you create a seal on the lines of the stencil. Let Mod Podge dry before painting. 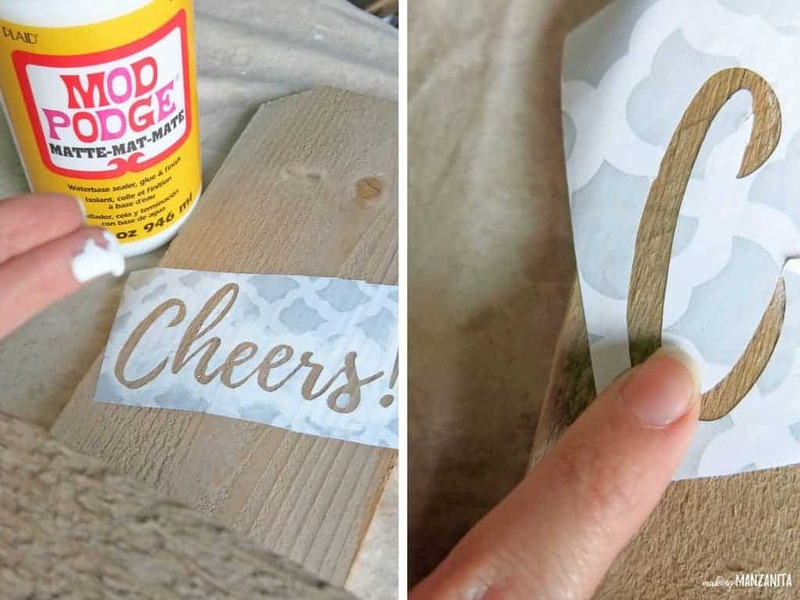 You can read more about this awesome Mod Podge sign making hack! I used a foam brush and white acrylic paint. Even though we have the stencil sealed, you still wanted to do light coats of paint on the stencil to avoid bleeding. Seriously guys!!! Look at those fresh lines with NO BLEEDS. Step 9. Attach bottle opener. This bottle opener doesn’t come with screws and that’s ok. For the purposes of gift giving, you’ll probably want to choose a screw that is about just long to attach the bottle opener to the wood. However, we recommend that when you mount the bottle opener on the wall, replace the screws with 1 5/8” long and place it in a stud. This is the best way to secure the bottle opener to the wall. It will be MUCH more secure than adding a sawtooth comb to the back of the bottle opener like others say. I finish most of my wood projects using this UV Resistant Clear Acrylic Coating. It’s an easy way to seal the DIY bottle opener for future use. Let’s a get a round of applause from man caves everywhere! A rustic looking salvaged wood bottle opener that will fit right in with the manly decor. 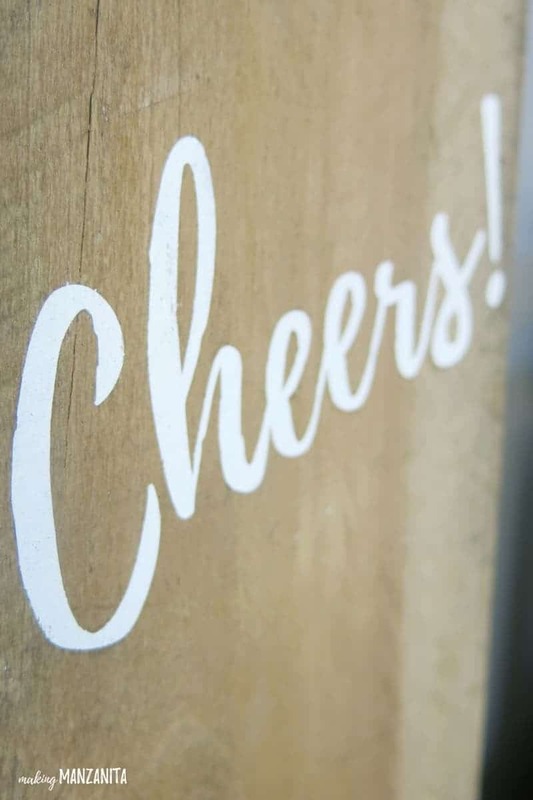 So, guys…cheers! Cheers to Dads! 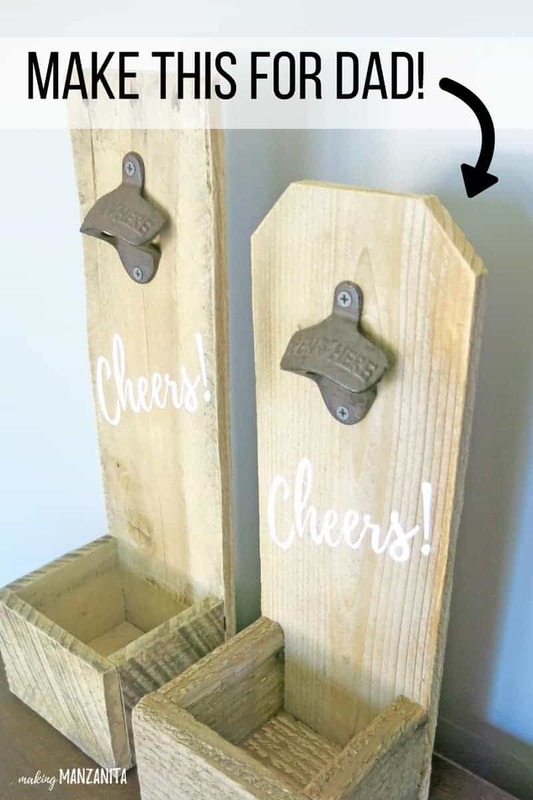 If you are interested in skipping the whole DIY part and just want to purchase this rustic bottle opener, you can purchase it here. Looking for more Father’s Day Gift ideas?? Love it!! Great idea Chelsea!! 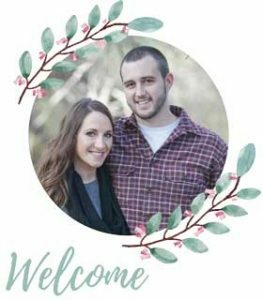 I absolutely love your summer printable. I can’t wait to receive it in my inbox. Thanks for this free gift.